Pork — Harriston Packing Co.
Harriston Packing Co. is proud to be known for our mouthwatering line-up of pork products, from the fresh loin chops in our butcher’s case to sausages and smoked chops, all of which are prepared in our smokehouse, using natural ingredients. See our frozen boxed pork products below. 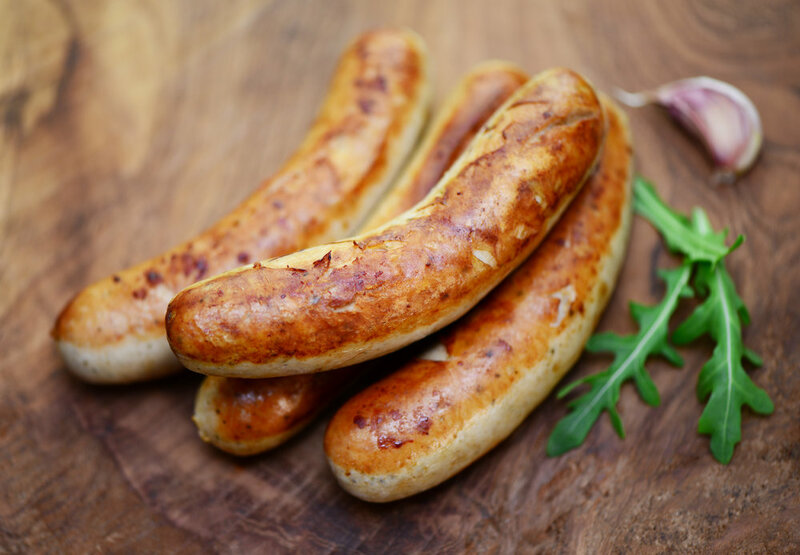 HARRISTON SPECIALTY SAUSAGES - Pork sausages prepared with select ingredients for a wonderful balance of flavours. Choose from Regular, Garlic, Honey-Garlic or Oktoberfest. Approx. 36 pieces per 10lb box. *SMOKED PORK CHOPS - SIGNATURE ITEM * - Customers come back for these chops again and again. Sweetly pickled and naturally smoked, these chops are juicy, tender and full of great flavour. Approx. 20-25 pieces per 10lb box. *OUR FAMOUS PORK SCHNITZEL - SIGNATURE ITEM * A real treat! Juicy, flavourful pork tenderized and delicately breaded for a crisp coating. Approx. 15-20 pieces per 5lb box. BONELESS PORK LOIN CHOPS - Our boneless chops are tasty, tender and versatile. Grilled, marinated or in your favourite recipe. Approx. 25-30 pieces per 10lb box. BONE-IN PORK CHOPS - These bone-in chops are full of flavour, very moist and work wonderfully on the grill or pan seared to perfection. Approx. 25-30 pieces per 10lb box. 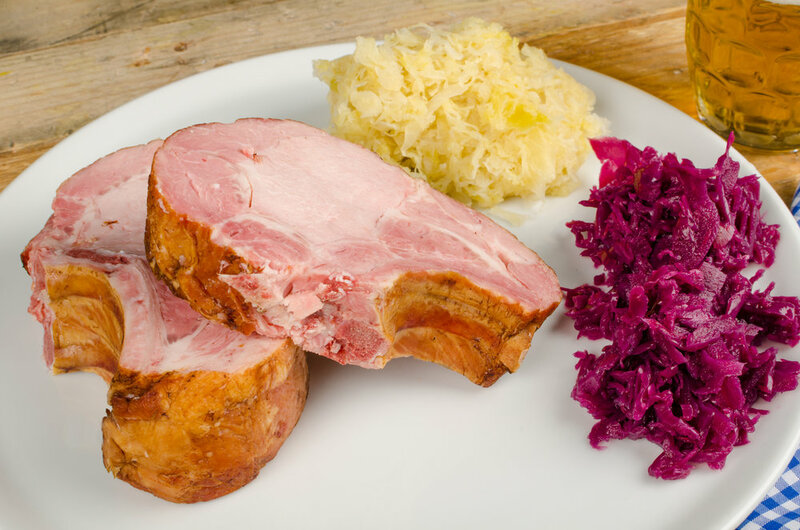 CLASSIC PEAMEAL BACON - Tender boneless pork loin pickled in a sweet brine, then rolled in cornmeal for texture. Approx. 25-30 pieces per 5lb box. TRADITIONAL SIDE (STRIP) BACON - A Sunday morning treat, great on a sandwich or crumbled into a salad. Cured and smoked in the traditional way. MORE ITEMS TO FOLLOW IN THE COMING WEEKS... PLEASE CONTACT US DIRECTLY FOR PRICING INFO. TO VIEW PRODUCT DETAILS SIMPLY HOVER AND CLICK TO ENLARGE IMAGE.